Without GPS, we lose stabilization of the drone; it is very complicated. “Scladina Cave is an archaeological site in Belgium. According to prehistorians, Neanderthal men and women used this space more than 1,000 centuries ago. European research project scientists are exploring how to capture, process and display accurate 3D reproductions of cultural sites located in challenging environments. 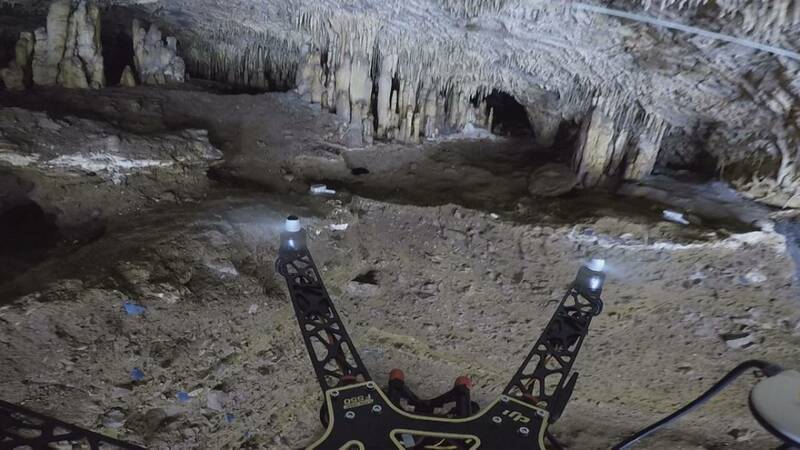 At Scladina cave they’re testing their secret weapon, a drone, in a prehistoric environment. The use of a drone in such a complex site is full of challenges – and rewards. “This is a very special environment. As we are inside the cave, there is no GPS signal. Without GPS, we lose stabilization of the drone; it is very complicated. We must be very reactive during the control of the flight. The drone is equipped with three cameras that record every corner of the cave. Each object is mapped in its own archaeological context. Engineers are actively helped by archaeologists, for whom the pictures obtained are full of promise. Post-capture processing allows for the development of digital 3D representations. Drones, scientists say, are indeed proving useful when it comes to providing cost-efficient solutions to develop 3D models of cultural sites. Scientists now want to use these 3D animation to make video-games and create interactive Web databases to better promote European cultural assets. For that they are using not only visual material from drones but also sophisticated scans of small cultural objects. “First we capture the 3D data; by that we extract the particular characteristics of a given cultural object. And thanks to that characterization, of the 3D model, we’ll be able to link that object to similar objects displayed on other databases or on the Web. The final goal, scientists say, is to offer citizens an interactive hand for a better, deeper understanding of cultural sites, particularly ones whose access is difficult or restricted, like Scladina Cave.